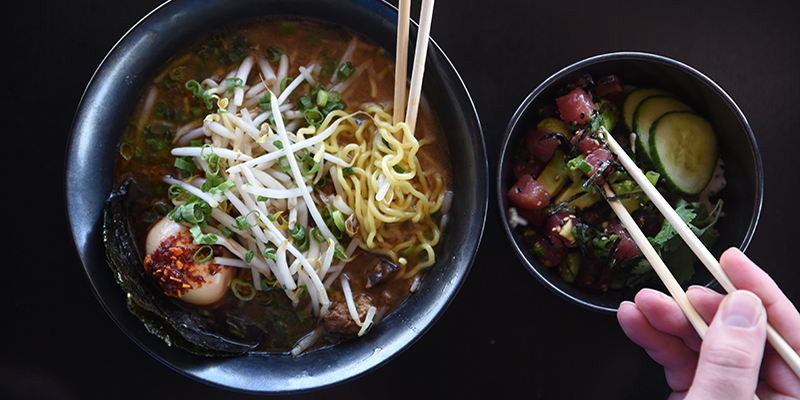 If you’re in search of fresh fish, whether served in rolls or in bowls, a slew of sushi and poke spots keep customers satisfied throughout the city with Japanese- and Pacific Island-inspired tastes. Bob Wasabi: Sushi lovers flock to Bob Wasabi, a West 39th Street gem known for incredible flavor and artfully prepared rolls and nigiri pieces. Nara: Located conveniently right on the KC Streetcar line in the Crossroads Arts District, Nara is popular all day but especially so during happy hour and reverse happy hour—perfect for post-work bites and late-night occasions. Prime Sushi: This spot touts an extensive menu and cozy dining space in the laid-back South Plaza neighborhood. Friends Sushi & Bento Place: Friends has everything you want in a sushi shop: fresh nigiri and sashimi, innovative rolls, plentiful bento boxes and more. 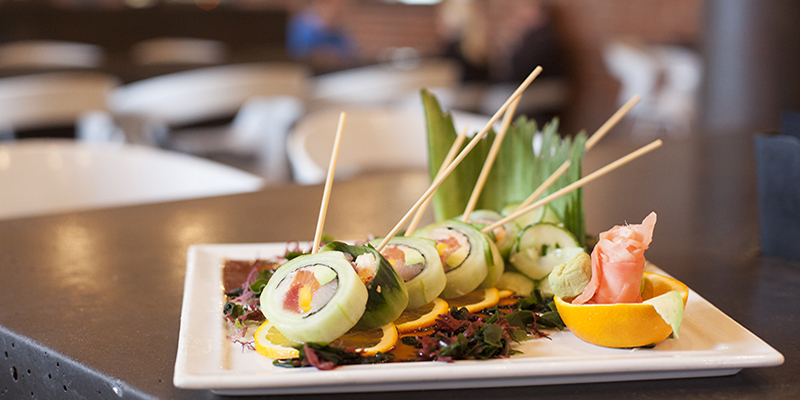 Blue Sushi: Hailing from Omaha, this swanky sushi bistro pairs upscale ambiance with delicious, seasonal offerings. 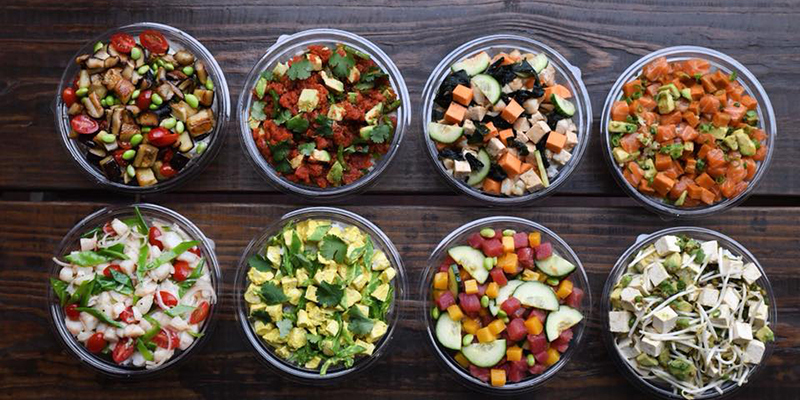 Freestyle Poke: Already a River Market sensation, Freestyle Poke’s menu features signature bowls and a build-your-own option with nearly limitless possibilities. Poke Bar: From poke to sushi burritos, Gladstone’s Poke Bar has your fresh fish needs covered. 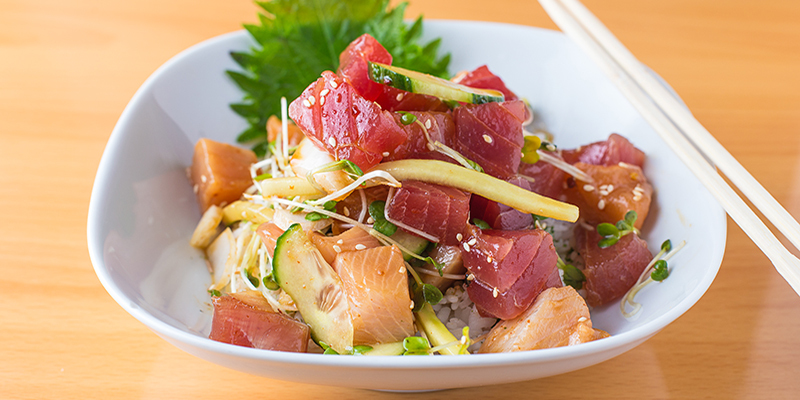 Kona Grill: This Country Club Plaza mainstay offers a selection of sushi and a popular happy hour, but fans of cuisine can’t get enough of the one-two-three punch of poke shrimp, poke rice and poke salad bowls. 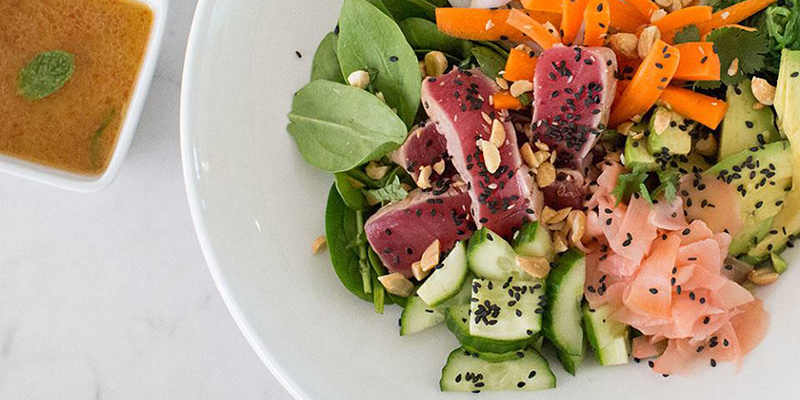 Unbakery & Juicery: This health food shop puts its own spin on the poke tradition by replacing jasmine rice with a brown rice quinoa base, which adds a superfood element to the popular menu item. Toro Sushi Hibachi & Asian: Pick your own poke or choose from sushi entrees and nigiri pieces to satisfy your appetite. Longboards: This Mission-based wrap shop cooks up plenty of creative creations, including a sushi wrap loaded with imitation crab, shrimp, cucumber, guac and more. Bristol Seafood Grill: Kick your meal off with an appetizer of big eye tuna poke, which serves as an ideal entry into a stellar seafood meal at this renowned local restaurant. BORU Ramen Bar: Known primarily for its bao and ramen dishes, BORU also serves up a tuna poke dish well worth the visit to Waldo. Drunken Fish: This Power & Light hotspot serves up a lengthy sushi menu—ideal for under-the-stars dining on the restaurant’s rooftop patio when the weather is right. Caffetteria: Dubbed a modern café and marketplace, Caffetteria does so many things well—from its Prairie Village ambiance to fresh, vibrant flavors—and the Polynesian poke bowl is no exception.